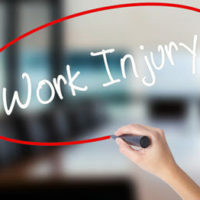 If you are injured on the job, you may have concerns about how to get treatment, where you will get treatment, when you’ll be able to get back to work, and will you get paid lost wages. You may also worry about your employer retaliating against you for making a workers’ compensation claim in the first place. Many employees are afraid of making workers’ compensation claims, or of challenging what the workers’ compensation carrier says, out of fear that their employer will fire them, hold them back from promotion, or take some other retaliatory action. However, Florida Statute 440.205 makes it clear that it is illegal for an employer to coerce, intimidate, or terminate a worker for making a workers’ compensation claim. This law assures that injured workers are permitted to pursue all remedies available to them without fear of repercussion from their employer. To be protected under the law from retaliation, the workers’ compensation claim must have merit. This does not mean that you ultimately have to win the case or get everything you ask for, but as long as there is some basis for, or validity to the compensation claim, the prohibition on retaliating against you applies to your employer. Importantly, the law doesn’t just prohibit a worker from being fired. It prohibits any kind of behavior by an employer that could be construed as being retaliatory, including coercion, or intimidation. To make the retaliation claim, a worker does not have to cite to specific language made by an employer that refers to the workers’ compensation claim. In fact, “smoking guns” will rarely exist in retaliation claims. Employees may present circumstantial evidence to prove their case. One example of intimidation may be a negative performance review in an otherwise good work history that occurs within a short time of the employer being notified or becoming aware that the employee is making a workers’ compensation claim. In many cases, there may be multiple reasons why an employee is discharged (some of which are manufactured as a pretext to disguise the real reason, which is the fact the employee made the workers’ compensation claim). The law affords protection even when the workers’ compensation claim works in concert with another reason to cause the employee to be fired, so long as workers’ compensation claim is a “substantial factor” in the termination. Contact our West Palm Beach workers compensation lawyers today at the Celeste Law Firm if you are injured on the job and your workers’ compensation is not providing you the care and treatment that you need to get healthy.